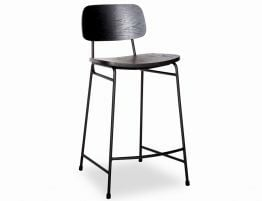 With a mid century modern barstool feel, this contemporary barstool blends the best of Danish inspired design with today’s modern furniture. 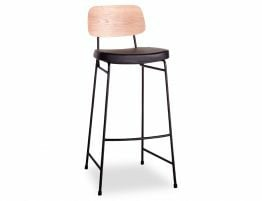 With a look reminiscent of a school chair, these wood barstools work well in a variety of home decor styles like refined rustic, modern, minimalist and organic, eclectic space. 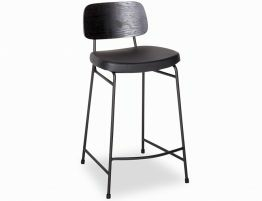 Add an understated yet sophisticate element to your breakfast bar seating, counter dining or bar. 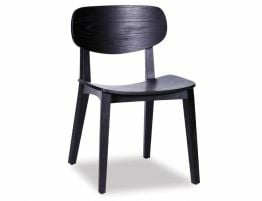 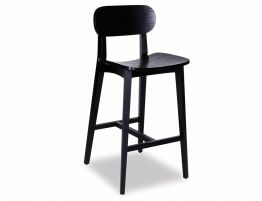 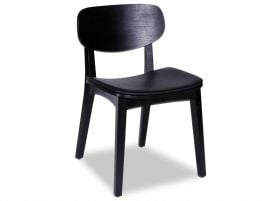 This Contemporary barstool is offered with options, you can get the black wood barstool, the white wood barstool, the natural wood barstool, all with the black padded seat cushion.. 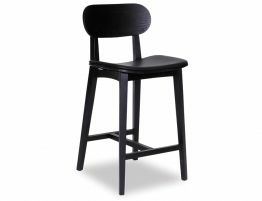 This Danish style barstool in American ash wood is a fitting complement to your space.